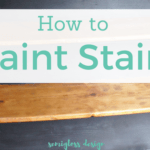 Home » DIY » Decor » Make Your Own Vintage Style Pennant Flag! 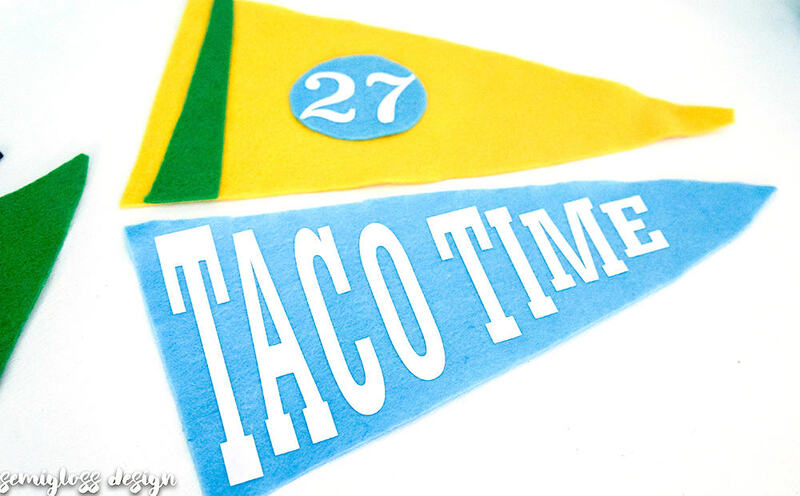 Learn how to make your own vintage style pennant flag. 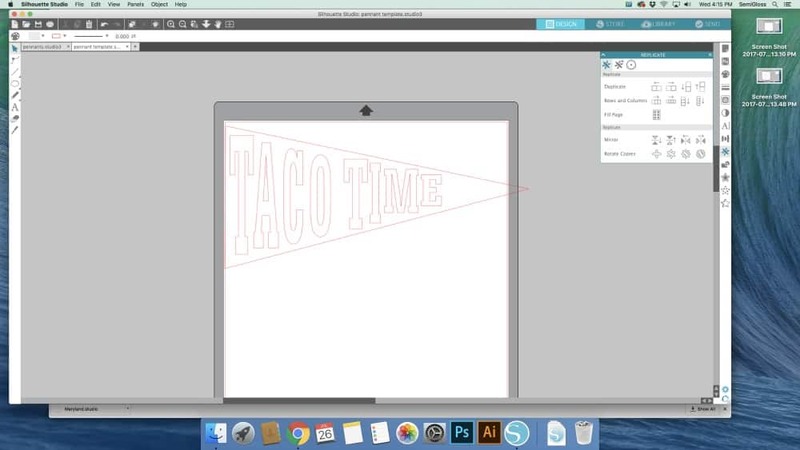 Designing your own pennant is so easy. 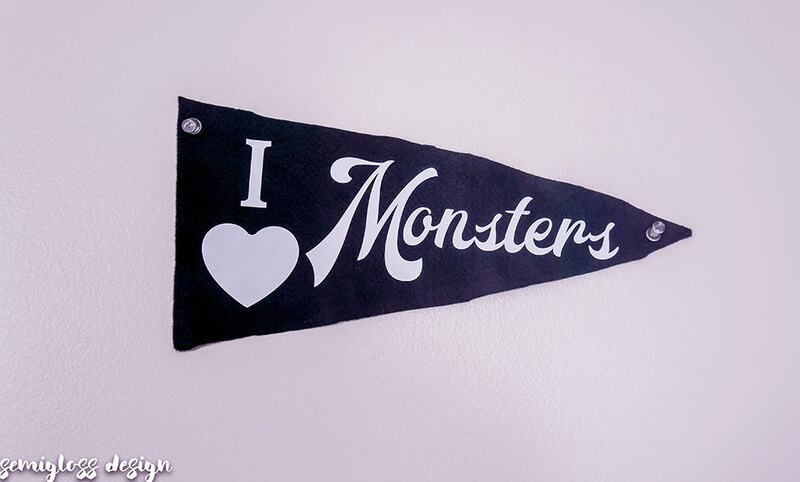 Sometime last year, I bought a vintage pennant for my son’s room. I finally got around to hanging it a few weeks ago and he loved it. 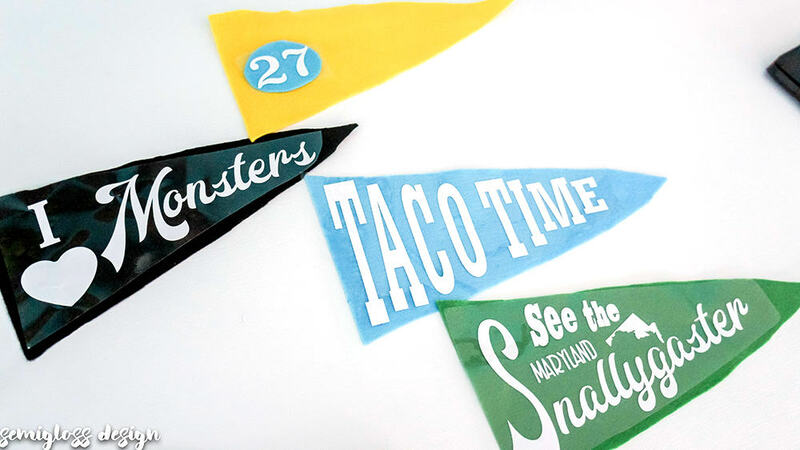 A lightbulb flashed over my head and making my own pennants seemed like the best idea ever. It was one of those ideas that is so exciting that I couldn’t stop thinking about it. Those are always good ones. It seemed like the perfect project to try with my silhouette. It seems that it doesn’t cut felt too well, so I had to alter my idea. I decided to use heat transfer vinyl instead. 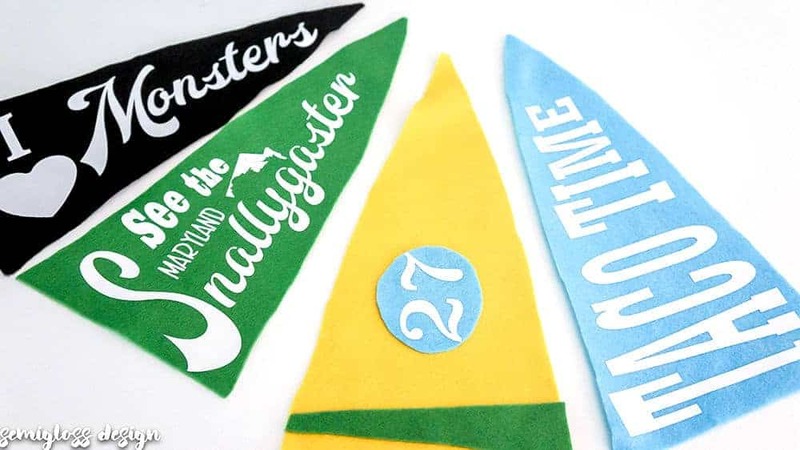 Want to learn how to make pennants? As you might know, my silhouette scares me a little, so I’m trying to work through various projects to get more comfortable with it. In my typical fashion, I started with the hardest stuff first and tried the print and cut for planner stickers. It was a frustrating process, but I eventually got it to cut correctly and I learned a lot about how to use it for future projects. 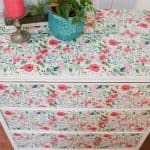 I’ve used it to cut vinyl decals for canisters and a calendar. Vinyl seemed so scary, but was a breeze to work with. 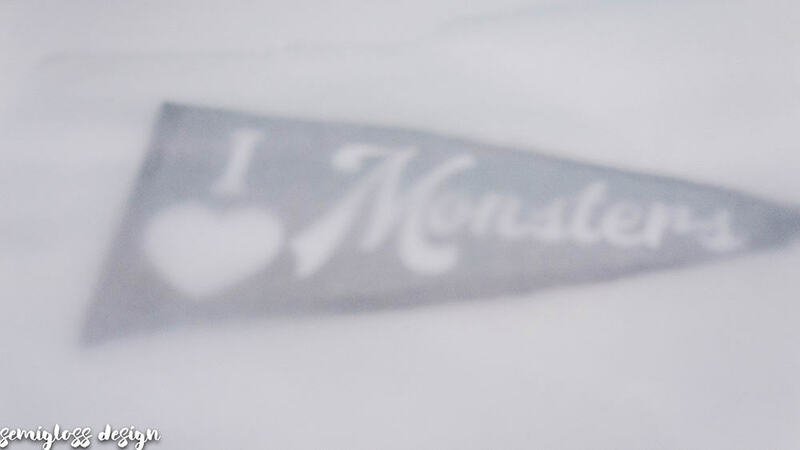 And now I’ve tried heat transfer vinyl and I love it just as much, if not more! 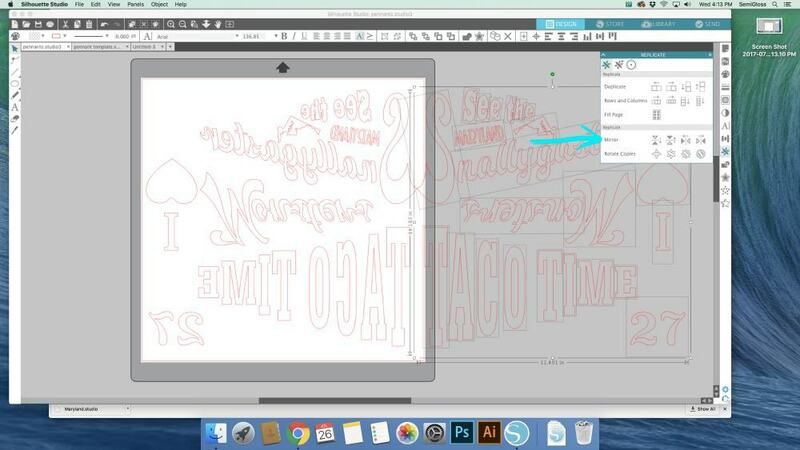 Design your pennants in Silhouette studio. I drew out a triangle to use as a guide. My triangles were about 6 inches high by about 13 inches long. 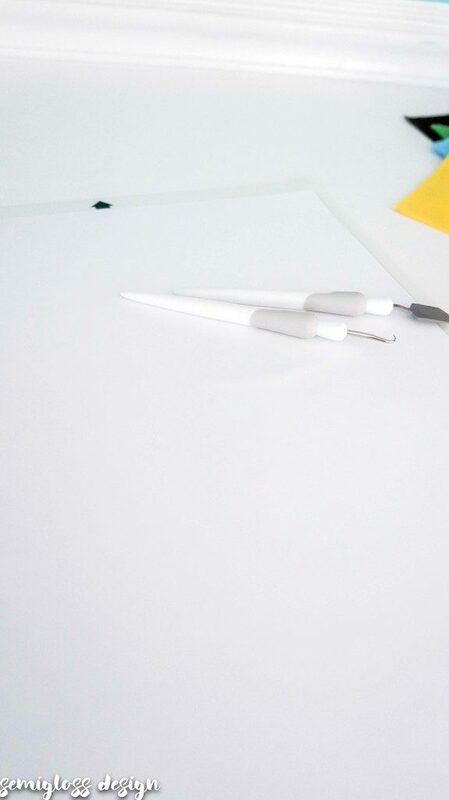 They don’t fit on the page, but you won’t use the pointy end anyways. I was able to fit 3 pennants on a page by turning one upside down. Don’t forget to click on mirror and delete the original image. 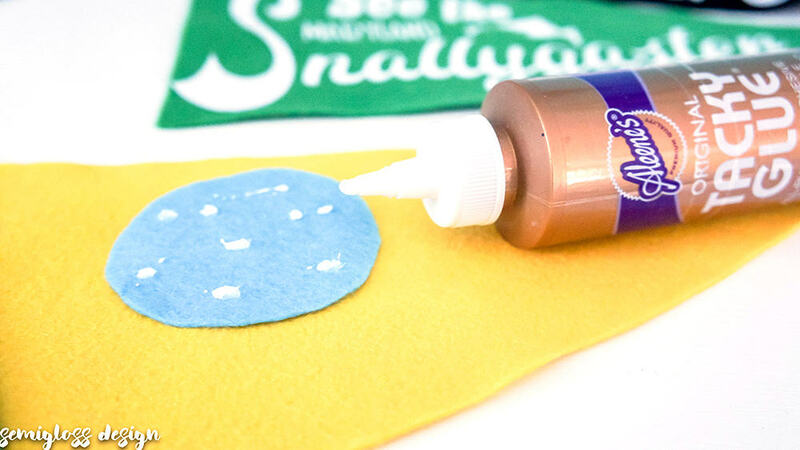 Place the heat transfer vinyl SHINY SIDE DOWN onto the mat and load. 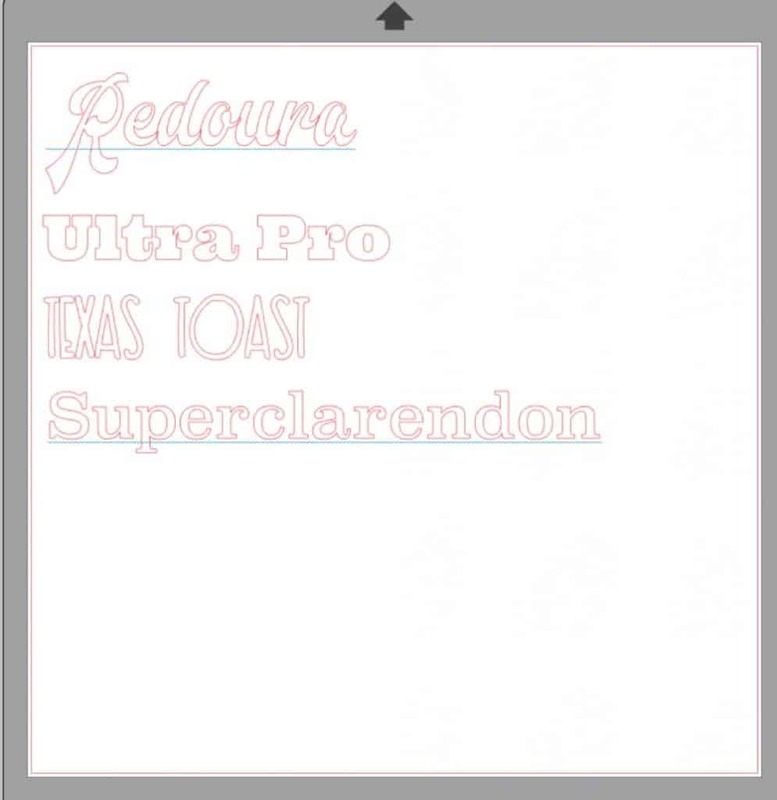 Send to the silhouette for cutting. 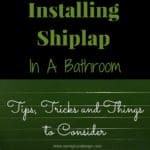 When it’s done, unload the mat from the silhouette and remove the vinyl from the mat. 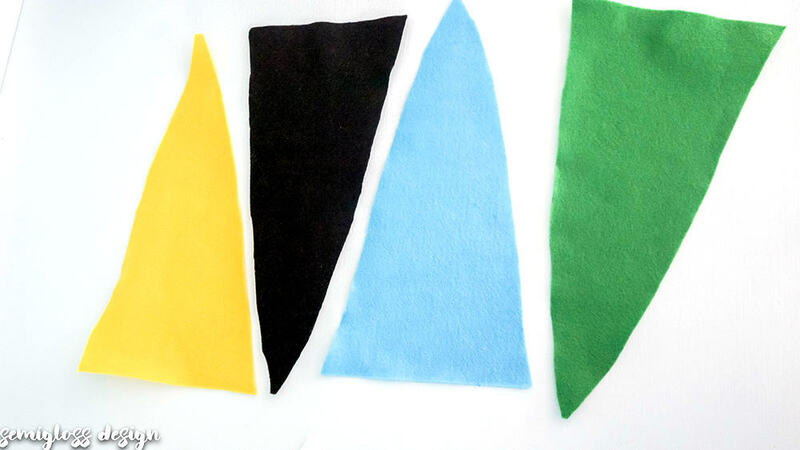 Cut your felt into triangles. 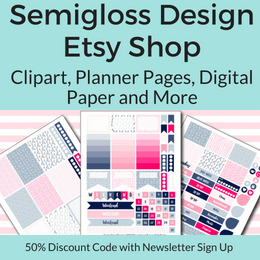 I used my cut out portions of the designs as a guide, but you can also print out a template to cut. With the clear layer still attached, position the designs onto the pennants. 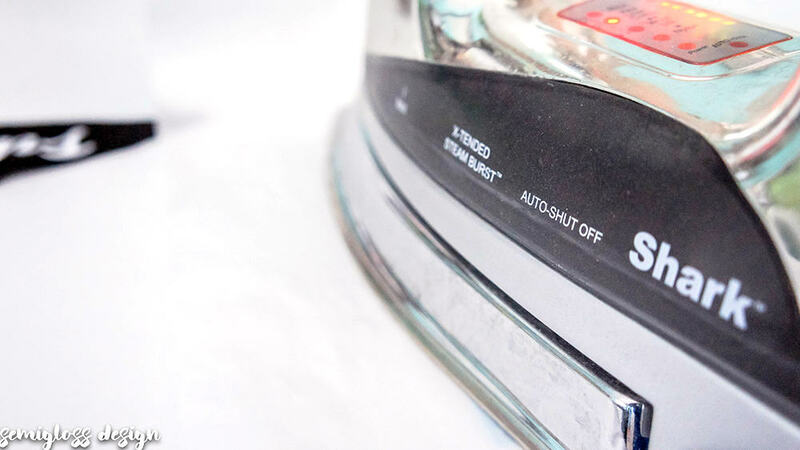 Turn on your iron and set it to “cotton”. Cover with parchment paper and iron in sections. My directions said to leave it on for 4 seconds, but it took about 8 seconds for my iron. It’s really hard to iron, count to 8 AND take a picture of it all. It’s ready when the vinyl sticks to the felt, not the clear plastic. Some places needed a little extra time with the iron. Peel the clear plastic off WHILE IT’S HOT. For this pennant, I wanted more felt details, so I cut out the shapes with scissors, added the vinyl details and used tacky glue to attach the felt shapes to the pennant. 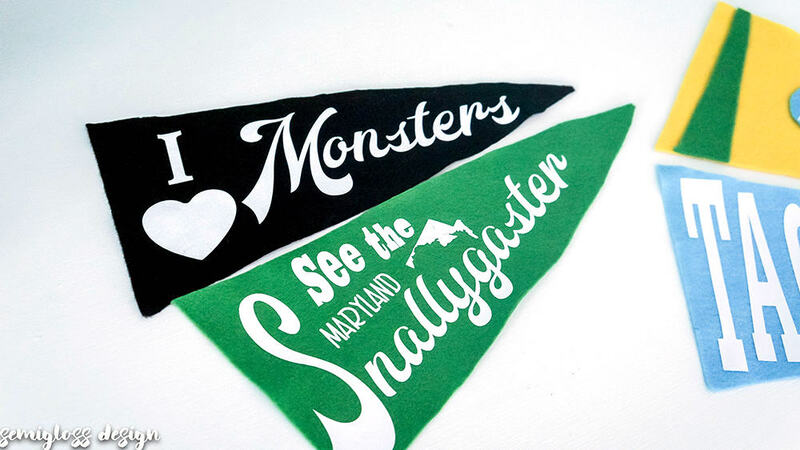 The best part about making your own pennants, is making them special. So I used phrases or subjects that are special to us. I wanted to include my daughter in the fun. She’s obsessed with all things scary at the moment, so this felt appropriate. We live in Maryland and I wanted to celebrate a local legend that I find really cool, but very disappointing when you learn more about it: the Snallygaster. And here they are in my son’s room. I just use pushpins to hang them. They’re hanging above his closet. He has mentioned wanting to collect more when we go to flea markets, so I left space for ones we find. It was hard not to get carried away though. I want to make a “Team Flint” one (our last name and inside joke) and a “Semigloss Design” one for my new office space. So what do you think? Would you make a vintage style pennant for your local legend or spot? 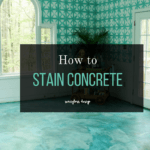 Previous Post: « Painted Vinyl Floor – 1 Year Later! How clever! I love this idea and how you have made them so personal. Thanks Catherine! The pendants are one of my favorite projects ever!